Interlocutor: Well. I’ll ask you two questions, you can answer both of them directly since they are related. My first question has to do with prenatal engrams. We know that a fetus receives engrams, but the issue is if the fetus always records engrams as they are or if the fetus only records engrams when he or she receives some hit, for example, when the mother tripped and she fell to the ground pressing her belly. If the fetus doesn't have analytical mind, how he or she will be unconscious to receive the engrams? 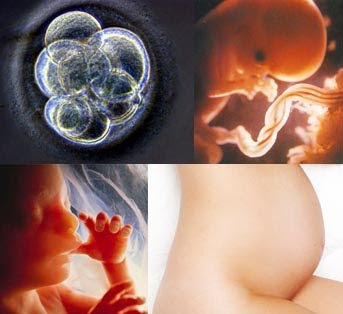 Is that fetal unconsciousness,-if we could call it like that- independent of the fetus analytical mind? The second question is related to dreams. What are nightmares in a dream? Are they restimulated engrams? Ruanel: The fact that a fetus has not lived in the physical plane, it doesn't mean that the fetus doesn't have analytical mind. Yes, of course a fetus has analytical mind. What a fetus doesn’t have is an analytical mind with experience. The analytical mind is there, but it doesn't have a memory of the present life. Interlocutor: When we speak about the analytical mind are we always referring to the 10% spirit? Ruanel: Yes, we are always referring to the 10%. Interlocutor: Is that 10% spirit incorporated already in the fetus? Ruanel: Of course! What the analytical mind of the fetus doesn't have is experience. It is an "unborn" mind, to say it in an understandable way. It’s already embodied but it’s a not-yet-born fetus. Interlocutor: I want to ask you again, to be sure, when we speak about the 10%, Are we speaking exclusively about the 10% spirit% or about a mechanism? Ruanel: We are speaking about a mechanism, because the 10% spirit% is part of the “machinery” because it is embodied in a physical organism composed by analytical mind and reactive mind. Interlocutor: I understand. It is like taking a computer as a whole including the operator. Ruanel: The example is valid. I’ll continue. The baby can receive engrams, discussions, although he or she doesn't understand them because he or she has not had the experience of formation. Interlocutor: Can a baby receive engrams when he or she has not diminished conscience by some hit? Or a fetus only perceive sensations that go to the file clerk of the analytical mind, I mean the "memory bank"
Ruanel: The baby can receive emotional drives, for example discussions, and automatically his reactive mind reemerges (which mean that it is activated) and the person in fetal state is defensive. If there is aggressive music or discussions and in that moment someone touches the belly of the pregnant woman, one would see that it is hard because the baby is defensive. Obviously the baby doesn't know why. Interlocutor: Do those emotions go to the file clerk of the analytical mind as memories? Ruanel: No, they go to the reactive bank as engrams. The baby channels engrams while capturing those drives, the analytic capacity of his mind diminishes and, when it’s diminished, automatically the reactive mind starts working channeling the emotions in his reactive bank as engrams. Interlocutor: So a fetus doesn’t need to receive a hit in order to channel engrams? Ruanel: No, because the baby can channel engrams with an emotional impact. Interlocutor: Well, this was clarified. Now move on to another question, Is it possible to receive engrams while dreaming? Ruanel: The answer is affirmative because most of the dreams are unreal since they are caused by dysfunctions of the mental decoder. There are decoders that while dreaming rearrange the pieces, the neurons that never stop working and when the neurons rearrange with their sparks, they produce unreal experiences. For that reason you can dream that you are living in a house and in real life that house never existed, or you hug a relative of yours and when you wake up you don't know who you were hugging in your dream. And what you consider something real in a dream can provoke you engrams, especially if a dream has to do with quarrels, or somebody attacks you. Dreams, although they are unreal events, they can provoke engrams in a person. Interlocutor: Can those engrams be restimulated while dreaming? Interlocutor: To conclude and sum up, there is case of a person who said to me that he had a nightmare and people wanted to kill his children repetitively. Ruanel: They are engramic restimulations. Interlocutor: Another point that has been clear. Ruanel: I hope that this was a juicy session. I leave all my Light with you. Then, it is not excuse to say: “starting from such date if the spirit is already fixed in the body of the biological mother from that moment it is considered karmatic, not before”. And I say: - Yes, even before. The spirit lodges almost immediately. I insist, within hours, at the 48 hours it is already considered that incarnation took place. I don’t have any doubt about it. Interlocutor: Here I have a question that people have asked me: Is echography harmful? I mean to the ultrasound procedure made on a baby in gestation. Ruanel: No, it is not harmful because it is made with sounds. The one that is harmful is the x-rays because if a baby has exposure to those rays, they can affect the skeletal system of the baby. This entry was posted at Monday, January 25, 2010 and is filed under Morganel, Sexuality . You can follow any responses to this entry through the .